15 years of friendship, gigs and parties have culminated in The Super Happy Fun Club and their infectious, triumphant new record Go Fun Yourself. The band's sound is informed by their home town Chicago and the music scene the guys grew up in (which spawned the likes of Fall Out Boy, The Audition and The Academy Is…). Intent on having as much fun as possible, the band’s outlook on life has spilled over into their music and has contributed to a feelgood, upbeat rock record that will make you want to do exactly as the album title tells suggests… and ‘Go Fun Yourself’. This November, the band hit the road with none other than Madina Lake for a full tour of Europe including the 10 dates in the UK. Their new record ‘Go Fun Yourself’ will be released on November 7th through Throop Records. 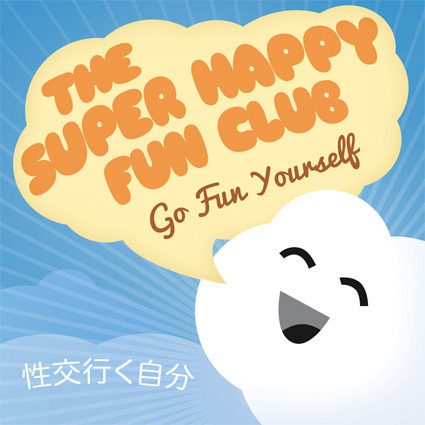 The Super Happy Fun Club are a group of friends that have lived and breathed the Chicago scene for most of their lives. The band’s members have immersed themselves in everything from production for artists, design and recording, and have collectively toured with Plain White T’s, Yellowcard, Bowling For Soup, and Jack’s Mannequin. Vocalist Stubhy comes from the popular US band Lucky Boys Confusion, guitarist Phil Kosch’s last band were signed to the label that was owned by Andrew McMahon (singer of something corporate / jack’s mannequin) and pianist Pat Gilroy featured on the last Plain White T’s record, Big Bad World. Now, for the first time, the UK and Europe will experience the wealth of talent that TSHFC possess. And it’s about time too. For all press enquiries please contact Jay Taylor on jay@prescriptionpr.co.uk or +44 (0) 1223 505328.